Make of that what you will, but a tipster just sent us a picture, which is claimed to be originating from the confines of Nokia, and allegedly is some sort of a non-final poster template. Whether real or fake we'll let you decide, we don't know what the pro-printing jargon is for such a seemingly transparent plastic poster sheet, if that's it at all, but what we found most interesting in case this has some merits, is the Windows Phone 8 signage. This would confirm that a/ Windows Phone 8 would indeed be the official name of the next Microsoft mobile OS edition, and b/ that Nokia will be outing new handsets with the latest and greatest from Redmond, which is not really a huge surprise. What do you think of this, apart from the "Breaking the limits since 1865" slogan, which can be set aside as marketing pep talk? i think i've seen nokia patent a design similar to that. just sayin. Why don't you support the current product rather than talking BS! Carla will launch, but Donna and Emily? I doubt they will ever see the light of day commercially. I agree that they are good and decent, but they will never be launched because the market space for them is already filled with more popular replacements. I liked S60 3rd Edition, and 5th Edition would not have been so badly recieved if it wasn't limited to resistive screens (sole exception: the X6), wasn't restricted to nHD (360x640) resolution, and didn't require double-tapping on everything. Nokia's Symbian had soooo much left to give, but its implementation was so poorly managed after 2008 that it is now a moot-point. Here comes another MS basher.Window Phone 7/7.5 is miles ahead of Symbian. There is nothing COOL dude about criticising MS.
You sayin' that you criticize things for the purpose of "being cool"? Or are you saying that criticism in general ISN'T cool? well if wp8 will remove certain hardware limitations, that explains the breaking the limits part. 1865, i agree, too cheesy. 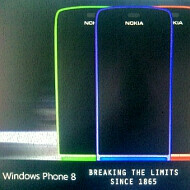 Nokia would never use those colors for their phones- especially the blue. They would use Cyan. It could be the bad image, but they look a bit day-glo. The greens, blues and oranges on the N8 were very subdued. 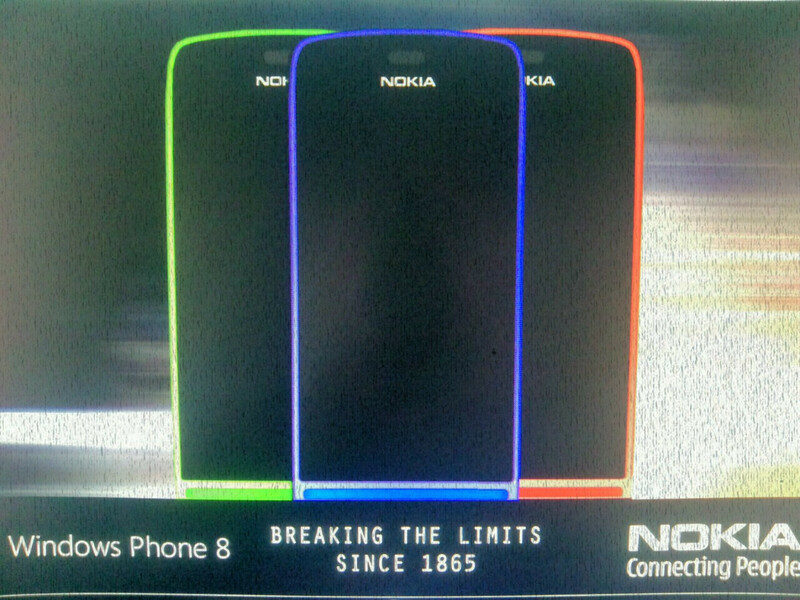 In general for Windows Phones, Nokia has stuck with Magenta, Cyan, Black and White- its been a signature palette. Look at the Lumia advertising- its all used the same palette as well. This looks out of place. Also the Windows Phone 8 logo is not the correct font and is missing the square logo. I WANT THE GREEN ONE!!! wwhats there to dislike if someone wants green phone??????? Am I the only one to find the design cool? If Apollo is going to be Windows Phone 8, then it is the phone you should looked forward. Heard there'll be - Micro SD Slot - Multicore optimization - 1GB RAM - HD Recording - Windows 8 Kernel - Pureview Technology Obviously all these are rumors, yet sound realist. I don't think so.... Windows is governed and all-ways will be..... Other's will follow Ios.... Android will lead Windows welcome to the world of REFORMATORY!!!!! !